2Wheel Chick: So much riding, so little time ! In the last week I've done two track sessions, two track leagues, a criterium race, a turbo trainer session, plus about 150 miles of commuting by bicycle and a bit of running. My legs are beginning to feel it. It's not helped by my less than regular stretching sessions either. I'm hoping to do some derny paced riding this evening at the velodrome, race at the MOD Chertsey on Saturday, and then on Sunday either race at Thruxton or do an unofficial London to Brighton (and back) ride. Just the thought of this will make my legs scream ! It's that time of year when there are so many bike events taking place, and I want to take part. The sun's out, it's warm, the nights are long. So why not make the most of it. Talking to a guy I met from Denmark, last year he asked - how many times a year they have races in London ? How would I know ?? In London and the South East, especially in the summer you could race every day of the week if you wanted. From track racing, crit racing, Surrey League races and time trials there's so much going on that you wonder how you can fit all in ! And of course there's all the off-road/mountain biking stuff too. It's funny how when I meet people from other parts of the UK, especially up North they almost want to feel sorry for Londoners - "it must be tough for you guys - where can you ride a bike in London ?" In fact with all the events that are going on I feel lucky to be in London. The South East has at least as many, if not more events taking place than in other regions. And they are within easy reach of home. Our region was the only one to hold a women-only road race championships. It is a shame that we lost the facility at Eastway last year. But it still has not curbed racing activity. 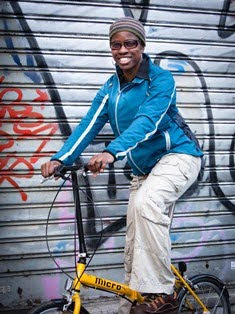 Maybe it's the Tour de France effect making more people want to take to get into the whole competitive cycling aspect. As for the racing season, just like with climate change, everything seems to be merging into one ! The road racing season used to begin in March and finish in late September. Now the season has been stretched, with it starting in early February and finishing in late October. In fact there is even a road racing league that takes place through the winter months. As long as people turn up to race the organisers see no reason not to hold the event. And the riders turn up en masse every Saturday, come rain or shine ! Even the London cyclo cross league is now starting a week earlier, in mid September just to fit in the additional rounds. So for folks like myself, who like doing both road racing and cyclo cross it really becomes a juggling act. So much riding, so little time ! 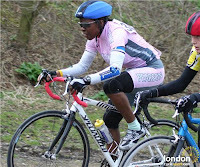 In terms of bike rides and club runs, living at Crystal Palace I have easy access to Kent and Surrey. I can head down Anerley Hill, and 6 miles later I am at the beginning of the North Downs in Kent. 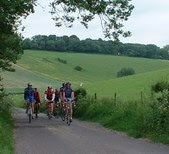 A little to the west are the Surrey Hills with famous climbs like Box Hill and Leith Hill. Great cycling country - especially if you want to test yourself ! For more clement stuff there are the lanes going South West, towards Kingston, along the river Thames and out towards Windsor. So with all that's going on it's difficult for me, during a sunny weekend or evening to opt to stay at home. I'm happier on a bike. I just need to decide which bike I use, what I do with it, and try not to overdo it !